One can only imagine the life that goes on in the back alleys and sewers of any major city. Even the supermarket’s storage areas are popular with cockroaches and get distributed throughout the city daily in the vans that send card board boxes to homes. I’m sure that’s how the cockroaches got into my home. It has taken a lot of effort to eradicate them… and yet we never know when we’ll see those feelers waving at us on the kitchen counter top again. 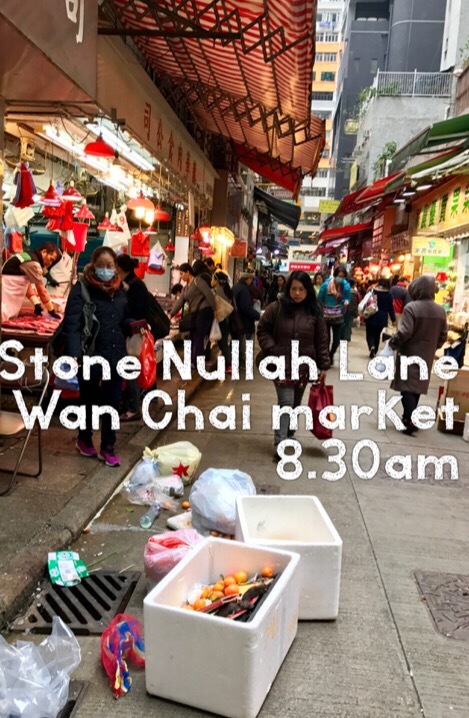 The Wan Chai outdoor market was just beginning to get going at around 8.30am, just as I was returning from an errand. 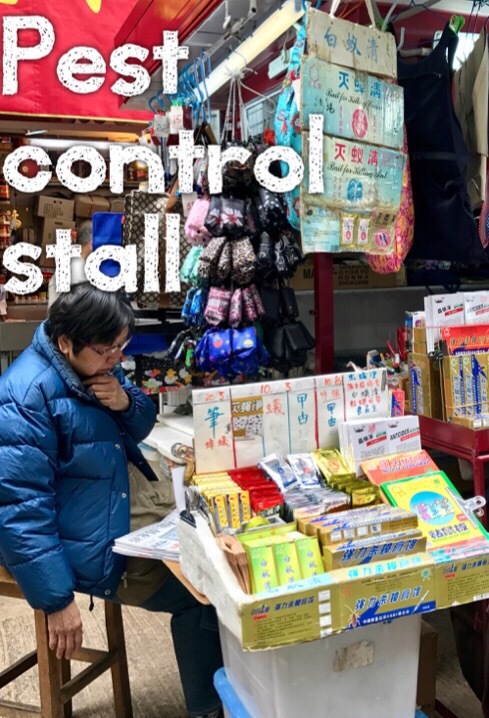 Walking down Stone Nullah Lane, it was all the usual hustle bustle of early shoppers and shopkeepers setting up stalls for the day. 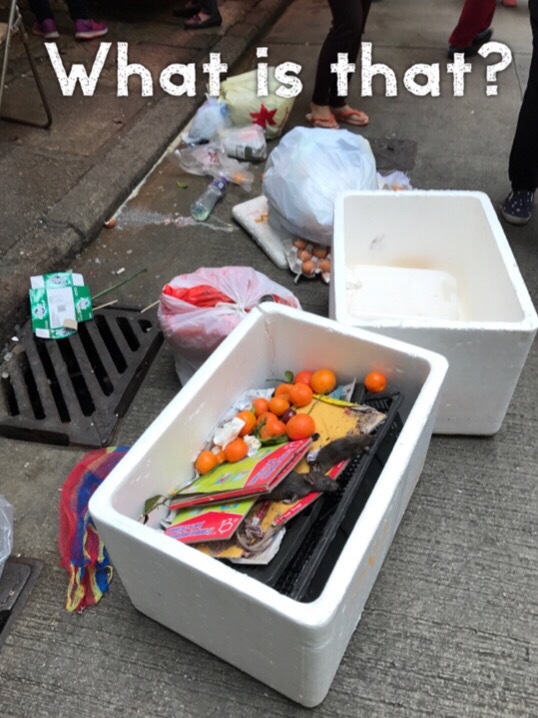 Just as I walked by the fresh fish shop, some litter lying at the side of the street caught my eye. In a similar fashion to the quick rewind in movies, I walked backwards for a closer look. 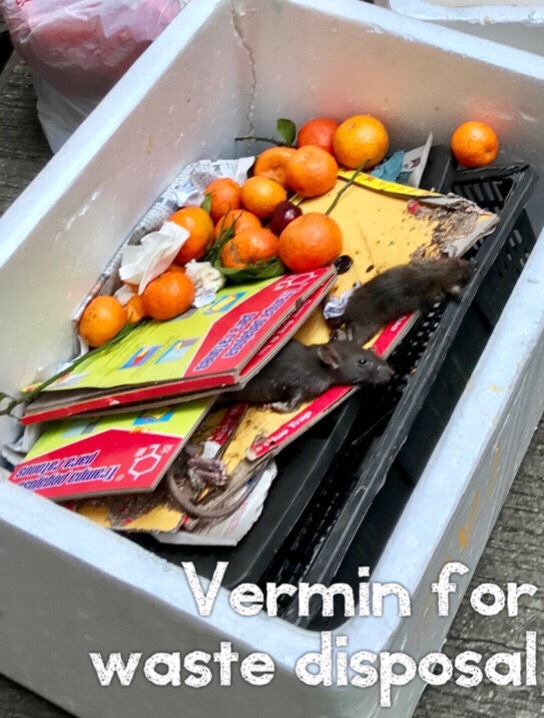 There were dead rats stuck in glue traps, dumped in a polystyrene box alongside oranges waiting for the trash collectors or pest control perhaps. Hmm. Those glue traps really are effective. Where can you get some if you find yourself in a situation where you need to rid your house of rats? This is the stall to head to. It’s roughly opposite the Thai vegetable and herb shop on Cross Street. He’s got something for the usual suspects. Termites, ants, cockroaches and rats.